K-5 Common Core Standards List BUNDLE! 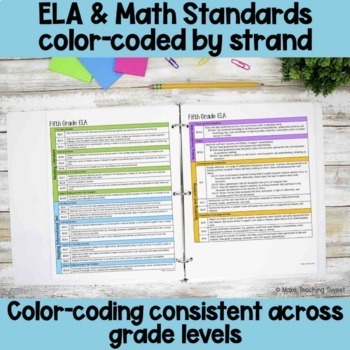 An easy-to-read list of ELA & Math common core standards. 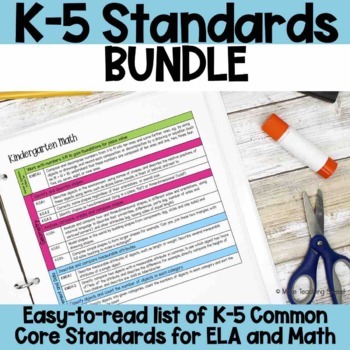 This bundle includes a set of standards for K-5th grade. Perfect to use if you are a specialist, administrator, or work with multiple grade levels. 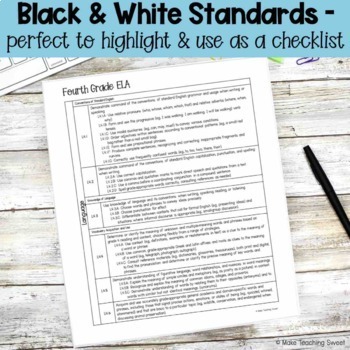 Black & White versions of ELA and Math Standards - use as a printer friendly option OR highlight when each standard has been taught or assessed.